Originally formed in 1878 as Newton Heath, Manchester United officially existed from 1902. They won their first league title in 1908 before becoming a yo-yo club, until 1945 when they appointed Matt Busby. Busby served the club until 1969 winning 8 major trophies. Tragedy truck while on the way home from a European Cup tie against Red Star Belgrade in 1958, their plane crashing on the runway at Munich Airport taking the lives of 8 players. Busby made a miraculous recovery from his injuries and went on to rebuild a winning side that included the likes of George Best and Denis Law. Busby retired in 1969 and from then on Utd struggled to find a manager to bring the success Busby had brought. That was until they appointed Sir Alex Ferguson in 1986. Alex Ferguson replaced Ron Atkinson as manager of Man Utd in 1986. Ferguson took time to settle and was reportedly close to being sacked in early 1990, but rescued his career with a vital FA Cup win against Nottingham Forest. Utd went on to win the trophy, Fergies first as Utd manager, with a 1-0 win over Crystal Palace. 1993 saw Fergie win his first league title, before his first double in 1994. Man Utd continued to dominate much of the 1990’s until arguably Fergies finest hour, winning an FA Cup, Premier league, and European Cup treble in 1999. Success continued in the 21st Century with 6 league titles from 10 seasons and another European Cup success in 2008. In total Fergie has won 2 European Cups, 11 league titles, 5 FA Cups, 3 League Cups, 1 UEFA Cup, 1 Super Cup, 1 FIFA Club World Cup, and 1 Intercontinental Cup, an incredible record and he is still going strong. Matt Busby was announced manager of Manchester United in 1945. He transformed them from a mediocre mid-table side into on of the most entertaining and successful sides in Europe. Busby built a team famously known as the ‘Busby Babes’ that included Duncan Edwards, who was arguably the greatest player of this era. After league successes in 1956 & 1957 the Busby Babes were on their way home from a European Cup tie against Red Star Belgrade in 1958 when tragedy struck. After stopping at Munich Airport to refuel, the plane crashed on its third take-off attempt, skidding off the runway into a derelict house. The tragedy claimed the lives of 8 players, including Edwards, and 24 people in total. Busby himself suffered multiple injuries and was twice read his Last Rites before somehow making a recovery and leave hospital two months later. Busby returned to manage Utd and rebuild a side that would win league titles and FA Cups before his retirement in 1969. In total Busby won 5 league titles, 2 FA Cups and 1 European Cup during his 24 years as Man Utd manager. 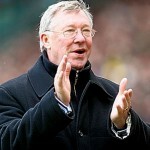 He is still the longest serving manager in the clubs history.